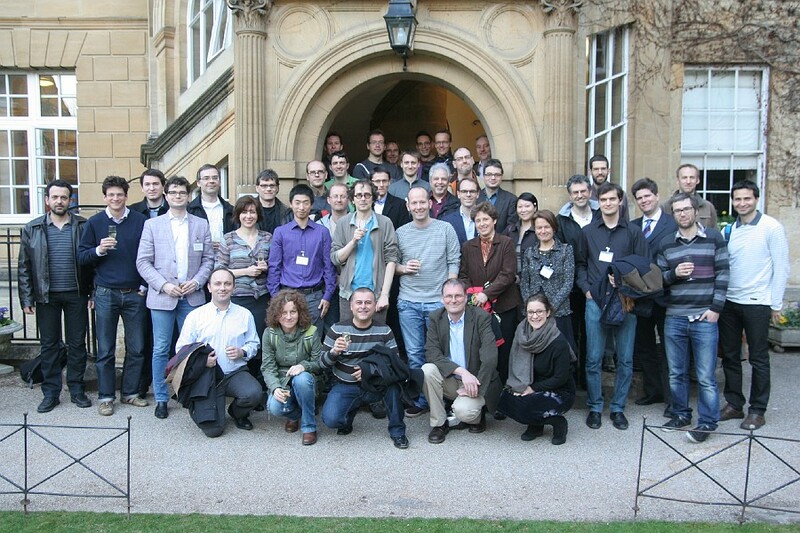 On this page you will find practical information regardin the MC/WG Meeting of COST Action IC1205 on Computational Social Choice at Hertford College, Oxford, on 15-17 April 2013. The local organiser is Mike Wooldridge, with support from Jordan Summers. For questions regarding the scientific programme or the Action, please contact Ulle Endriss. The programme has been put together by Annick Laruelle, Nicolas Maudet, and Ulle Endriss. There will be two main themes: approval voting (WG1) and resource allocation (WG2). In addition, there will be talks by two chairs of former COST Actions. The official MC Meeting on Tuesday afternoon is open to all (but only MC members can vote). For the rump session, the idea is that anyone who's interested can give a 5-minute talk on the spot (please consider participating! ; there will be a list for you to sign up in the meeting room). All talks will be in the Baring Room at Hertford. After lunch on Wednesday, there's the option to stick around for informal meetings. Speakers at the rump session were Piotr Faliszewski (2 talks), Dídac Busquets (2 talks), Làszló Kóczy, Vincent Merlin, Ulle Endriss, Paulo Melo, Christian Klamler, and Péter Biró. Oxford is a major tourist destination and it is notoriously difficult to find accommodation at short notice. We have reserved 40 rooms at Hertford College (£58 per night, including breakfast). This is by far the best place to stay, as it is perfectly located in the centre of Oxford, and is where the meeting will be held (first come, first served, as we are might be a little more than 40 people). 20 rooms are in the beautiful historic buildings of the main College (single, not ensuite), and 20 are a 10-minute walk away in the College's more modern graduate centre (single, ensuite, need to walk to main College for breakfast). To request a room at Hertford College, please fill in the accommodation request form. In the event that you would prefer to stay elsewhere in Oxford, we have compiled a list of suggestions for accommodation elsewhere. You would need to book these yourself. 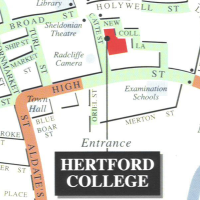 The meeting will take place at Hertford College, on Catte Street in Oxford. Information on how to reach the location is available from the Hertford website. The University's Visitors and Friends also has information about how to get to Oxford, including a comprehensive set of maps. Additionally, Daily Info is a popular website for all things to do with Oxford (transport, accommodation, food and drink, etc.). If you have any further questions regarding accommodation in Oxford or how to get here, please contact Jordan Summers (jordan.summers at cs.ox.ac.uk).